We are here for what life throws at you. Law Offices of Glenn & West, LLC is an experienced general practice law firm serving a wide range of clients throughout Central Illinois. We are firmly rooted in both the local area and the legal community, with offices in Nokomis, IL and Litchfield, IL. Whatever your legal needs, Attorney Trent West will fight to help ensure your rights are protected. Get in touch today to request an initial consultation. We offer FREE consultations in bankruptcy and injury cases. Law Offices of Glenn & West, LLC is an experienced general practice law firm serving a wide range of clients throughout Central Illinois. We are firmly rooted in both the local area and the legal community, with offices in Nokomis, IL and Litchfield, IL. 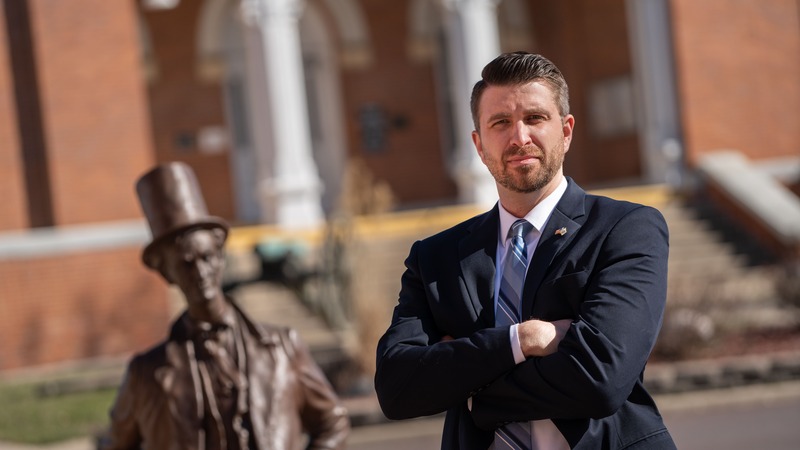 Whatever your legal needs, Attorney Trent West will fight to help ensure your rights are protected. Get in touch today to request an initial consultation. At Law Offices of Glenn & West, LLC, we strive to keep our clients informed and assist them with taking appropriate action. We have experience working in a wide range of legal areas, and we are ready to serve you. Whatever your needs, you can count on our team to work diligently to defend your rights. Explore our practice areas below, and don’t hesitate to reach out to us with any questions. Whether you’ve been injured on the job, been in a car accident, or have sustained injuries elsewhere, we can help you get the compensation you need and deserve. We understand the sensitive nature of family law cases. We take a personalized approach to assist you with divorce, child custody and support, adoption and other family matters. Criminal charges are serious matters that can result in fines, jail time and even prison time. You need an experienced criminal defense attorney on your side to help ensure your rights are defended and a favorable outcome can be achieved. If you have been pulled over and received a traffic ticket or been charged with driving under the influence (DUI) of alcohol or drugs, we are here to help. These charges can suspend your license, as well as result in fines and jail time. Filing for bankruptcy is a difficult decision with many complexities. We can help you decide if bankruptcy is right for you. Stop creditor harassment and wage garnishments sooner by hiring us. From estate planning, estate administration, probate litigation and more, we are here to simplify the process of making sure your affairs are in order or advise you with how to administer a loved ones’ estate. At Glenn & West, we strive to help our clients get informed and take appropriate action. We have experience working in a wide range of legal areas, and we are ready to serve you. Whatever your needs, you can count on our team to work diligently to defend your rights. Explore our practice areas below, and don’t hesitate to reach out to us with any questions. Trent West is a knowledgeable general practice lawyer and a native of Nokomis, where he resides with his family. 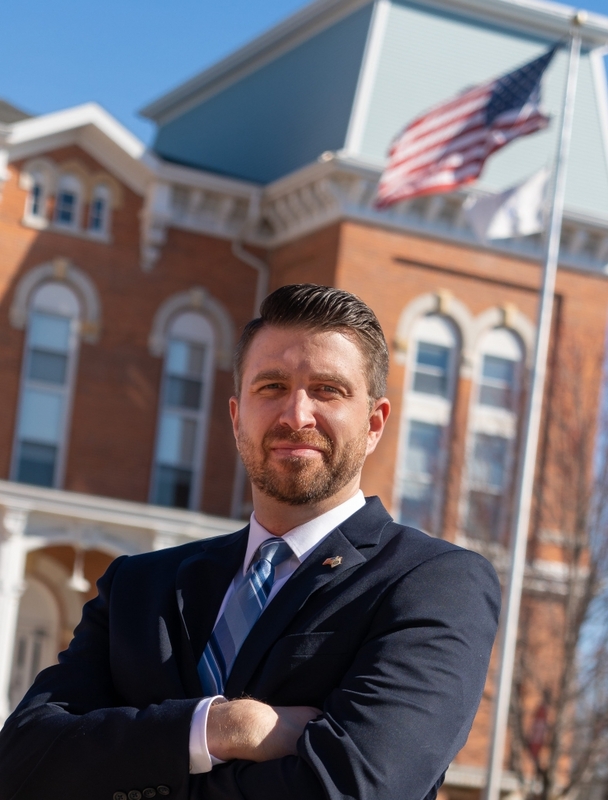 He has a degree from Southern Illinois University Edwardsville and Thomas M. Cooley Law School (n/k/a Western Michigan University – Cooley Law School). Trent has broad legal experience and will work closely with you to assist with your case. Trent is a member of the Illinois Trial Lawyers Association, the National College of DUI Defense, and the Montgomery County Bar Association. He is licensed to practice in all Illinois state courts as well as the Central District and Southern District of Illinois federal courts. Committed to providing the utmost levels of service, we genuinely care about our clients and are here to help you. Our goal is to keep our clients informed, be involved throughout the legal process, and be satisfied at its conclusion and beyond. We listen to client concerns, help explore and explain options, and offer sound legal guidance. We are your dedicated partner throughout the legal process. Trent assisted our family with a legal need and did an incredible job! He took care of all the details, kept us fully updated, was very reasonable with his pricing and we had an end result which was much better than we could have asked for. Great firm! Highly recommend! My husband adopted my son exactly one year ago today. The process started in October 2017 and was finalized on January 16, 2018! Trent was very knowledgeable and did not back down until the adoption was a done deal. Him and the office staff were very prompt in returning phone calls and keeping us updated throughout the whole process. Can not thank Trent West enough! This firm helped us and did a fantastic job! We proudly serve Montgomery County, Illinois and the surrounding communities. Areas we serve include Christian, Macoupin, Bond, Fayette, Effingham, Madison, St. Clair, and Shelby counties. When necessary, we will litigate throughout the state. Please explore our website to learn more about our practice areas, our office, and our commitment to client service. Don’t take on a case without proper preparation, and don’t attempt to go it alone. We are here to help you. If you have a legal matter that needs skillful attention, contact us today. We will do everything we can to assist with your case. We look forward to working with you.